5 hotels with a sea view are waiting for you in Collioure. Collioure is famous for its bell tower in the sea. It is pleasant to walk along the fishing port overlooked by the Royal Castle. On the seafront, sunny terraces will delight you in the old town painted by Derain and Matisse. The British historical novelist Patrick O'Brian lived there. At the seaside you can find a sandy beach and rocky coves. 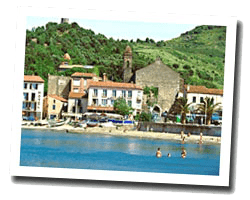 Collioure produces a famous wine. 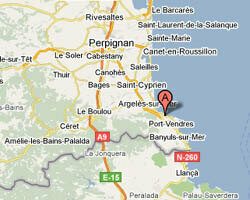 In Collioure enjoy the pleasure of a sea view hotel.